Years ago, when my daughter was a small tot we had a friend over for dinner. 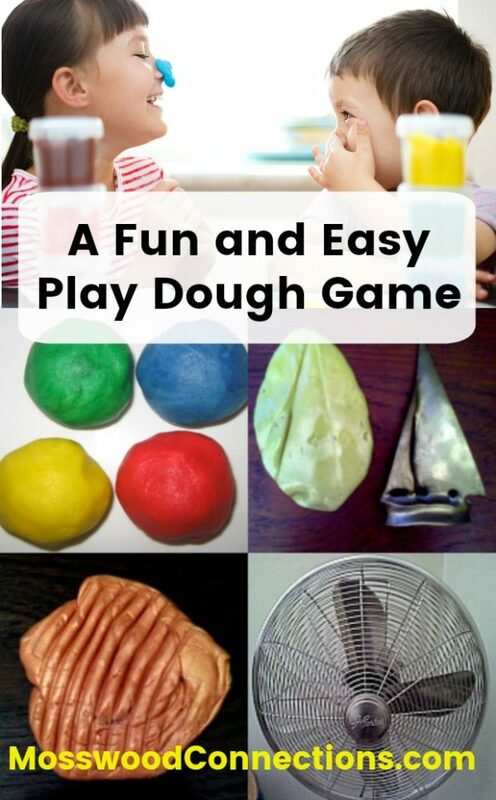 He started playing with my daughter’s play-dough and showed her this game. 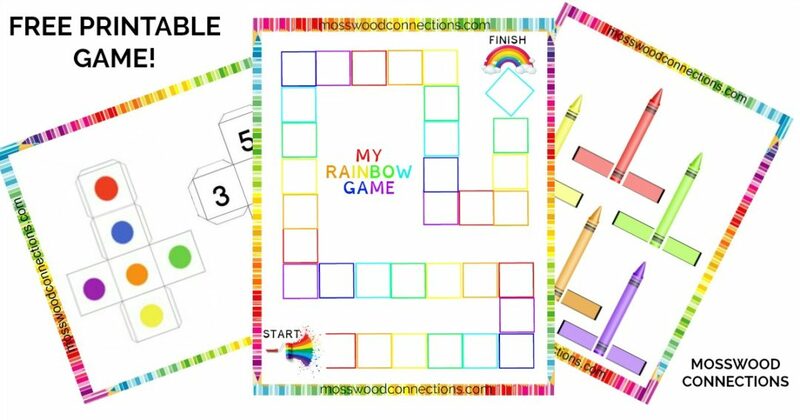 It soon became a favorite game in our home. Since then I have played this visual processing activity with many children. 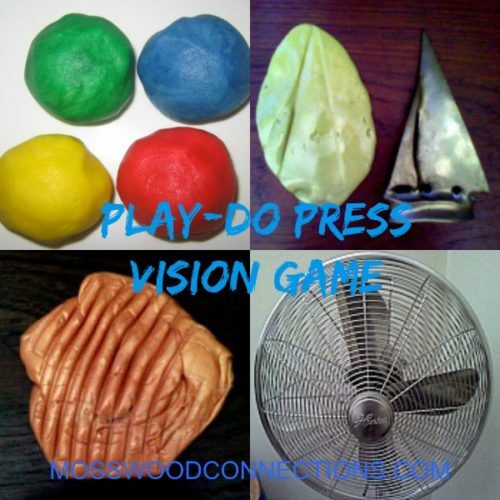 It is a fun way to work on a variety of vision skills as well as having the added sensory benefits of handling play-dough. 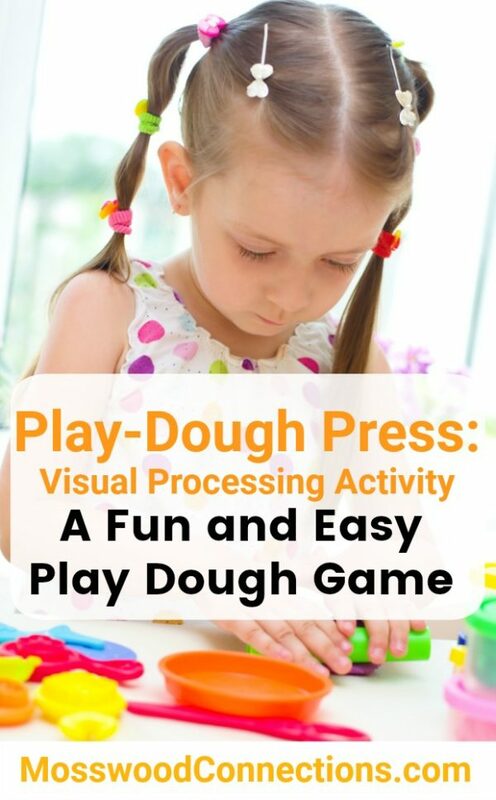 This visual processing activity is super fun and engaging for the kids. One of the best parts of this game is that it is a boredom buster that easy to take on the go. Take it out to dinner or maybe on a road trip. All you need is a small container of playdough and random objects in your environment. Visual Processing Skills: Visual Scanning, Visual Closure, Visual Discrimination, Visual Figure Ground, and Sensory Processing. Take turns pressing the play-do onto different objects. One person presses the play-do onto an object in their environment while everybody else closes their eyes. To make it more simple have a field of 6 items to choose from with distinctive shapes. To make it more difficult you can make imprints that are mirror images of the object or are only part of a whole object like the fan example in the picture. See below for an explanation of these vision skills. –refers to the pattern of fixations and saccades while an individual is examining visual stimuli. 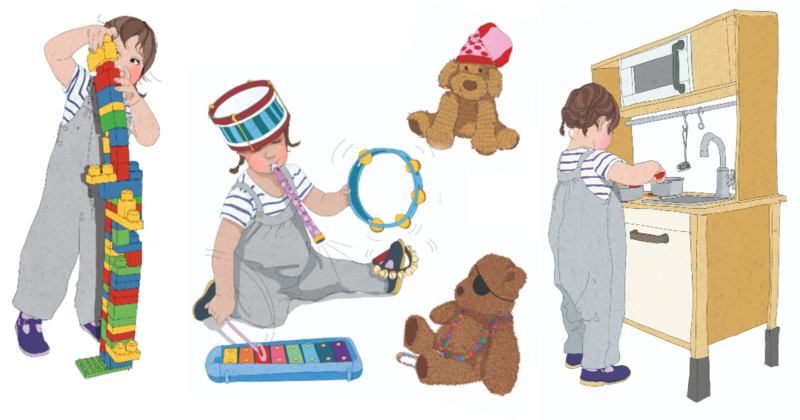 Scanning is first rather disorganized in infants, then becomes more exploratory but fairly limited, and finally develops into controlled, goal-directed behavior. In older children and adults, scanning emerges as more sophisticated visual search skills and is part of a larger set of selective attention abilities. –the ability to visualize a complete whole when given incomplete information or a partial picture. This skill helps children read and comprehend quickly; their eyes don’t have to individually process every letter in every word for them to quickly recognize the word by sight. This skill can also help children recognize inferences and predict outcomes. Children with poor visual closure may have difficulty completing a thought. They may also confuse similar objects or words, especially words with close beginning or endings. –the ability to determine exact characteristics and distinctive features among similar objects or forms. In reading, this skill helps children distinguish between similarly spelled words, such as was/saw, then/when, on/one, or run/ran. –the ability to perceive and locate a form or object within a busy field without getting confused by the background or surrounding images. 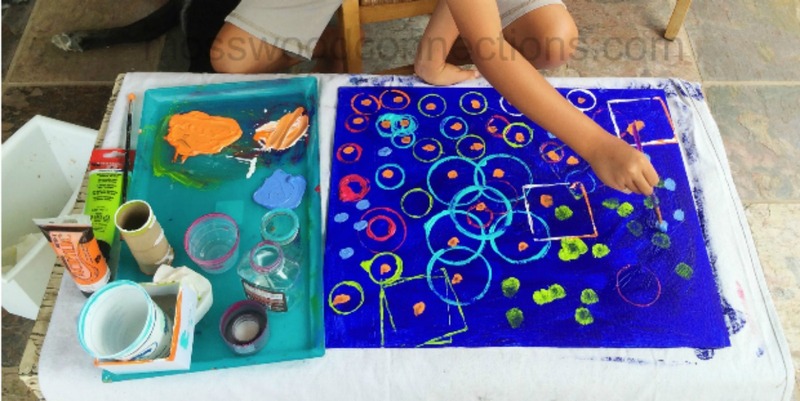 This skill keeps children from getting lost in details. Children with poor figure-ground become easily confused with too much print on the page, affecting their concentration and attention. They may also have difficulty scanning text to locate specific information.